Every so often in history, the evolution of a product takes a monumental step forward. DETECTO's icon® represents the next generation of digital clinical measurement. There is nothing equivalent to the Icon® on the market! 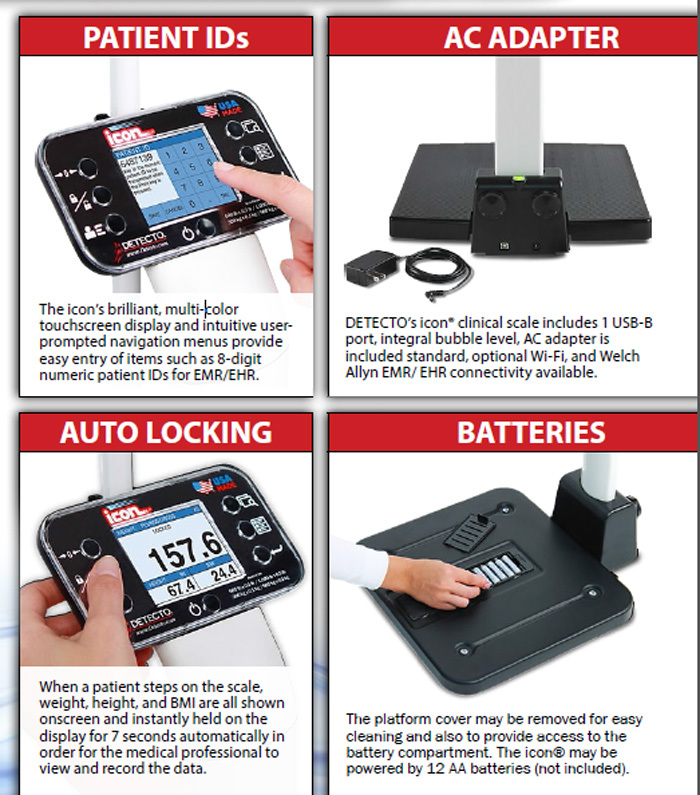 DETECTO’s icon® scale includes 1 RS232 serial port, 1 USB-B port, ptional Wi-Fi, and Welch Allyn EMR/EHR connectivity available (see models listed above). The icon’s powerful sonar touchless height rod combined with an all-in-one color display means the patient simply steps onto the scale platform and within a second your full measurements are all displayed onscreen instantly without having to press a single key for the ultimate in speed, hygiene, and accuracy. 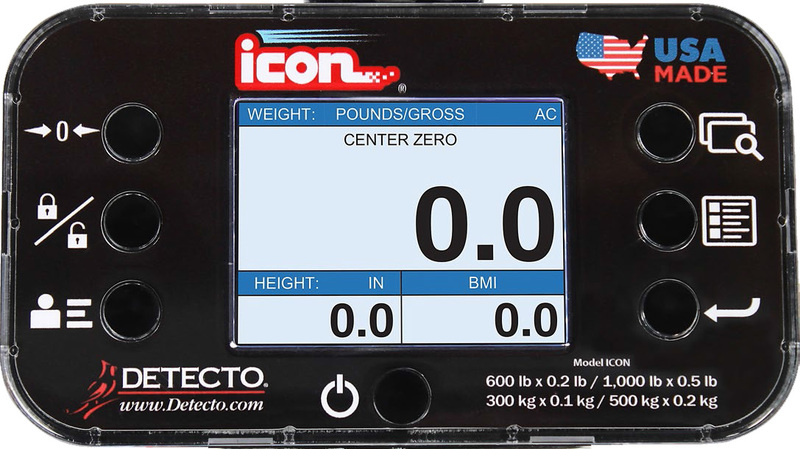 The icon’s virtually-flat base is only 1.5 inches high, offering the ultimate in patient ease of use and comfort while weighing. Plus, the extra-wide 17 inch wide by 17 inch deep platform size allows bariatric weighing. Every so often in history, the evolution of product technology takes a monumental step forward. DETECTO has been pioneering physical measurement since 1900 and along the way studying intensively what comprises an incredible healthcare weighing experience. As result of over a century of research, we introduce you to clinical weighing’s new icon®. DETECTO’s icon® eye-level digital clinical scale has a dual-ranging capacity of 0.2 lb/0.1 kg up to 600 lb/300 kg and 0.5 lb/0.2 kg up to 1,000 lb/500 kg. The low-profile 17 in W x 17 in D platform is nearly flat at only 1.5 inches high. 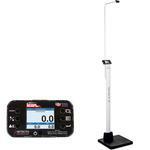 The icon® includes a non-medical grade standard AC adapter or can be powered by 12 AA batteries (not included). The touchless sonar height rod allows you to simply step on the scale and within seconds weight, height, and Body Mass Index will all be displayed onscreen without touching a single key. The icon® features a high-tech, smartphone-style indicator for easy utilization with 7 simple buttons and a multi-color touchscreen LCD display for large readouts.